More than 70 U.S. lawmakers urged Secretary of State John Kerry to speak up against media clampdowns in Turkey, describing the crackdown as an “affront to the basic principles of democracy,” Turkish news website Today’s Zaman reported Wednesday. “The attempt by the Turkish government to punish and censor the Turkish media is a matter of deep concern for the United States,” coauthors Senator Roger Wicker and Senator Charles E. Schumer said. Kerry should address the behavior of Turkish President Recep Tayyip Erdogan’s administration and “urge the government to adhere to the basic principles of democracy, including freedom of the press – something that has long been a value in Turkey,” Schumer said. “The Erdogan Administration should be held accountable for these egregious abuses of free speech,” Wicker added. 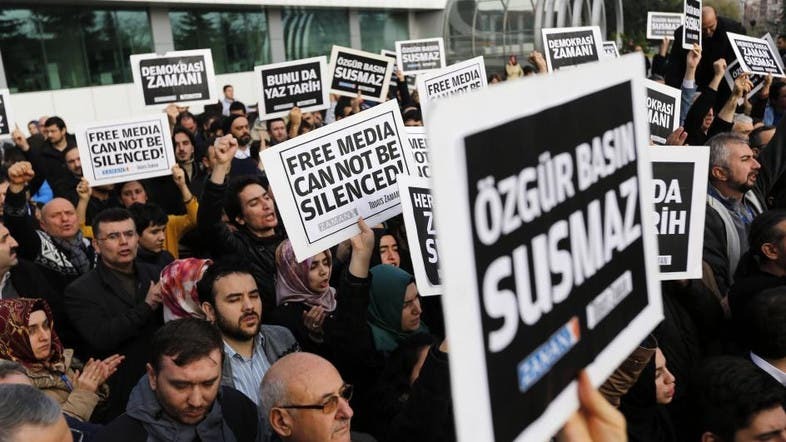 In addition to Human Rights Watch claims of media clampdowns, the letter refers to the 2014 arrest of two high-profile media personalities: Ekrem Dumanli, editor-in-chief of Zaman newspaper and Hidayet Karaca, CEO of Samanyolu Media Group.